With the advancements of features in smartphones, the amount of time we spend with it has also increased multifold. And in most of the time spent with our smartphones, we are generating so much of artifacts most of which are very personal to us – pictures, videos, important documents related to work and home and so on. While we safeguard our privacy as much as possible there are times where your attention about your phone is not nearly as where you’d prefer it to be. Times when you’re off taking a shower or times when you’ve handed your phone to a cousin or your own kid or times when you’ve plugged your phone for charging while in a function or a relative’s, these times are when your sensitive data can be at risk. We land into tricky situations where we hand over the phone to someone for gaming around – remember those plane or train rides travelling with family and someone wants to game on your wicked awesome phone? But you have to disable that fingerprint scanner else you’d be summoned every other minute to unlock the phone. Frustrating times! One solution to this is to have a separate phone with information that can be shared and one that will always be with you – costly affair ain’t it? Yes of course, you’d ask – there are app lockers. But then there are 100s of them out there and how would you know which of them are safe? What if the app themselves are leaking out your information to some server out there without your notice (rooted phones alert!). Fret not, as today we present to you an app that we’ve been using since a while and we love it so much, we wanna recommend it to you – its called Hexapp. Hexlock is by Liquidum, a company based off Ireland and generally known for its simple intuitive apps. What sets this app apart from others is the “simplicity” in the UI, so simple that no one needs to tell you how to use it. And the set of features offered are so handy that it almost covers everything you’d want to safeguard your private information. Lets walk you thru the features of Hexlock. First up, let’s download Hexlock app from Google Play store. Once you’ve gotten thru the first step of setting up a pin / pattern for the app itself, you’re presented with a set of “Profiles”. There are some default profiles and you can add some as well and each of them has the ability to hold different combinations of apps that can be locked. 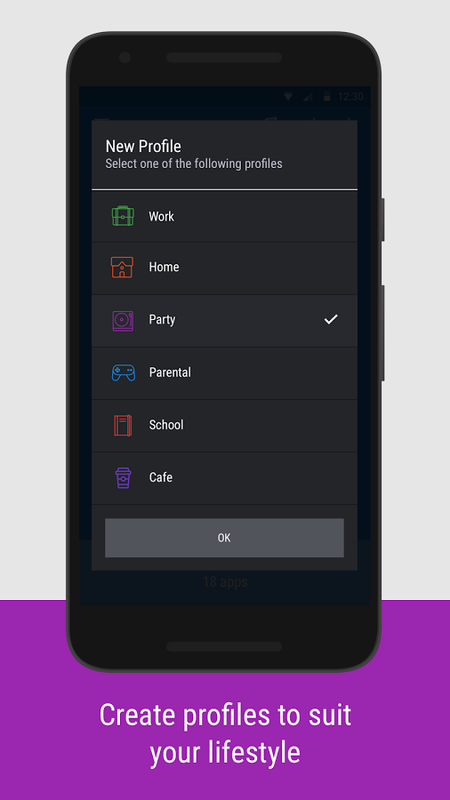 Work and Home are available by default while you can tap on the “+” icon to add few more such as Cafe, Party, Parental and School. Moving across each is as easy as left and right swipes. To enable them is to just tap on the big image that represents the profile. And if you do not like the default name and image, hit the edit option and give it a name and image your want – nice touch! Beneath each profile listing is a “Start Locking Apps” option. 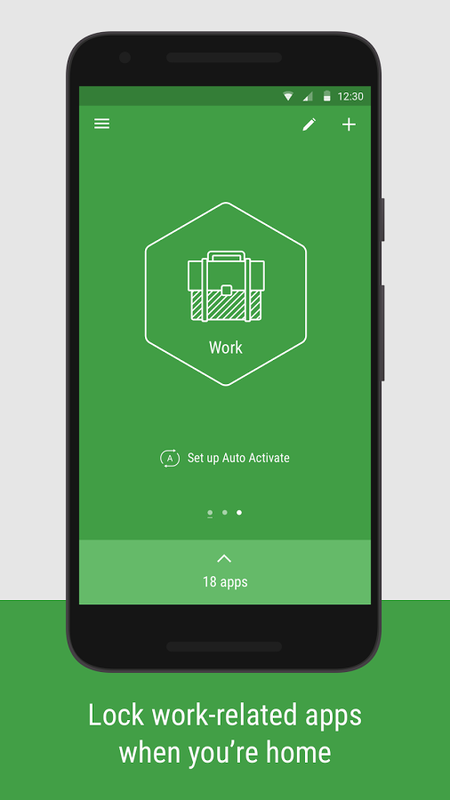 Tap and cherry pick the apps you’d want to lock up. 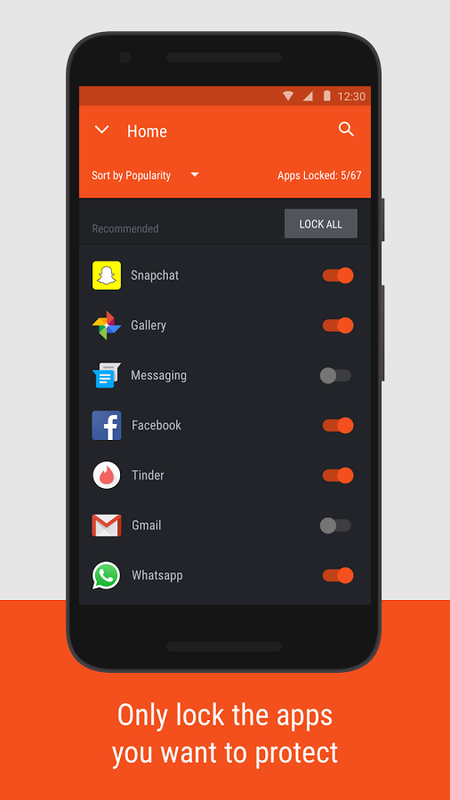 What is neat is Hexlock intelligently categorizes all the apps on your phone into recommended, social and others. If you’re super paranoid kind like our neighbour here, you can just tap the “Lock All” option and roll! And if you’re like us who have tons of apps and hate scrolling up and down there is a search option and sorting options to find your app as well – nice touch. 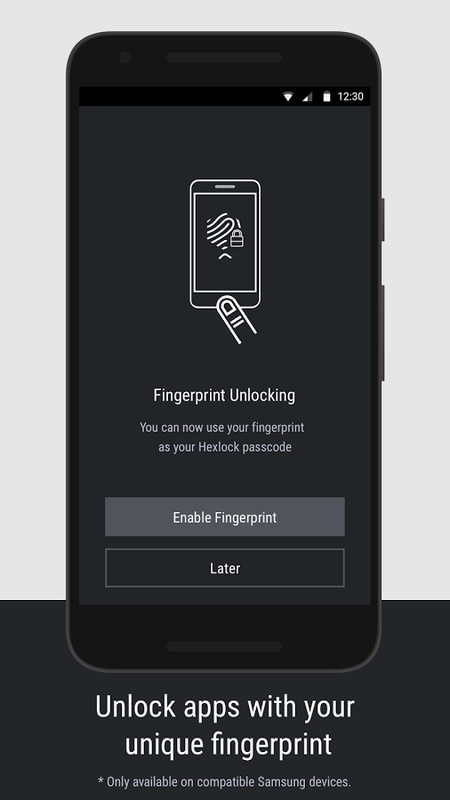 Hexlock provides the standard pattern and pin system to unlock an app but with the advent of fingerprint scanners in literally all ranges of phones, enable the Fingerprint option in the settings and start unlocking in less than a second going for the FPS option. We noticed one thing here, which is common to all the app lockers out there, the app screen shows up for a fraction of a second followed by the unlocking option of Hexlock. This happens most of the times if not all. This is our favourite feature and very practical as well. 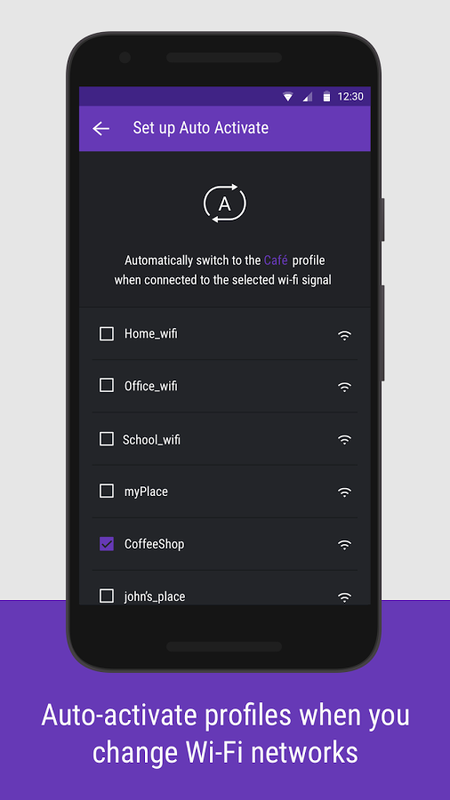 For each profile, you can set one or more Wi-Fi networks where you’d want the profile to go active and once you’ve entered those Wi-Fi zones, Hexlock knows where you are and would toggle across profiles automatically and save you from the hassle of activating things manually. 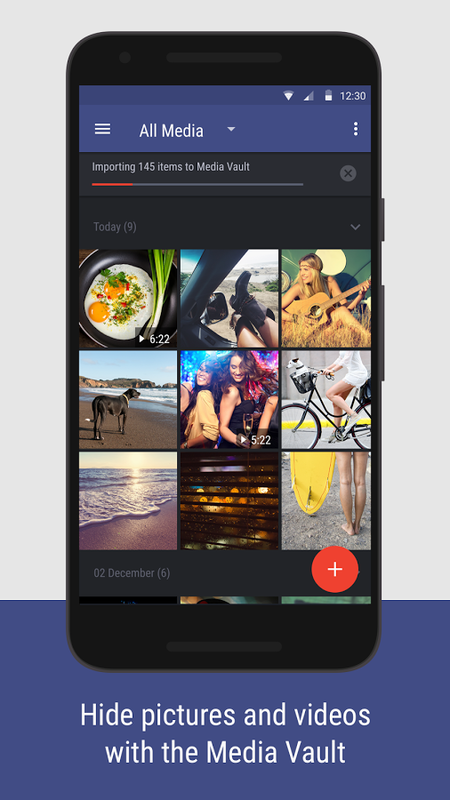 With “nice touches” that delight you all around the app, and with handy options like Media Vault that can safeguard all of your gallery and media, customising the app background and colors and super secure option to prevent someone from uninstalling the Hexlock app, intuitive UI and an intelligence that works without flaws, it would be very hard not to recommend this app. We’ve tested this app on several devices and it ran smoothly on each of them. So go ahead and give Hexlock a try and if it throws up an ad, it’s just 10 INR that’d take you to get rid of it. Let us know what you think!